Generico is a prototype for a new way of design thinking, developed with a holistic approach using latest technologies. The design is based on the requirements of comfortable sitting and responds to load forces and ergonomic conditions. 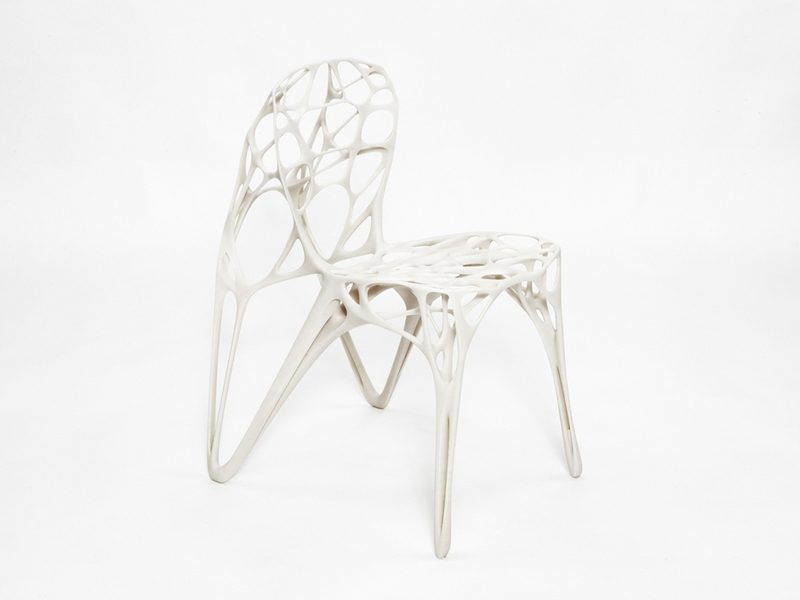 The chair – resulting from an all-embracing line of thought, from design to production, is an ideal field of application for 3D-printing-technology as it allows for an optimal material distribution. The result of this visionary design approach is a pioneering example, showing the future potential of this production process. 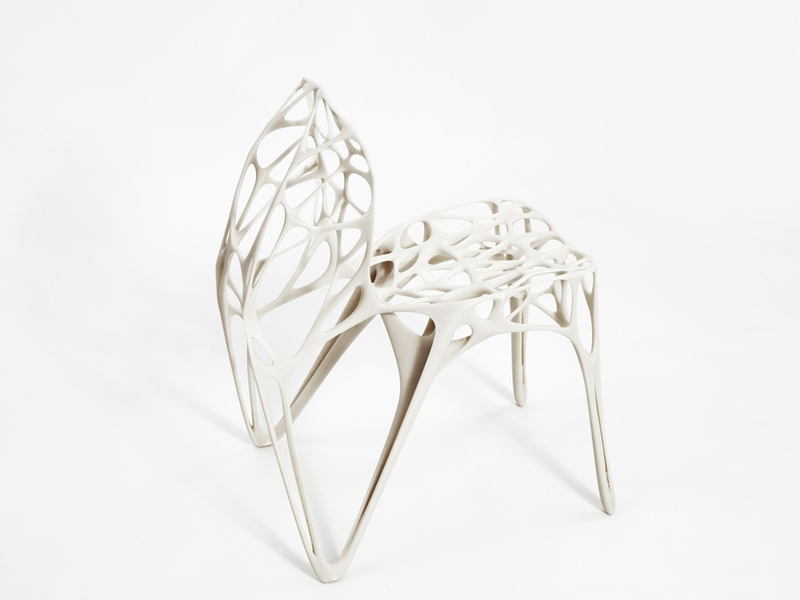 The Generico chair has been launched during this years Milan design week (April 8-13). 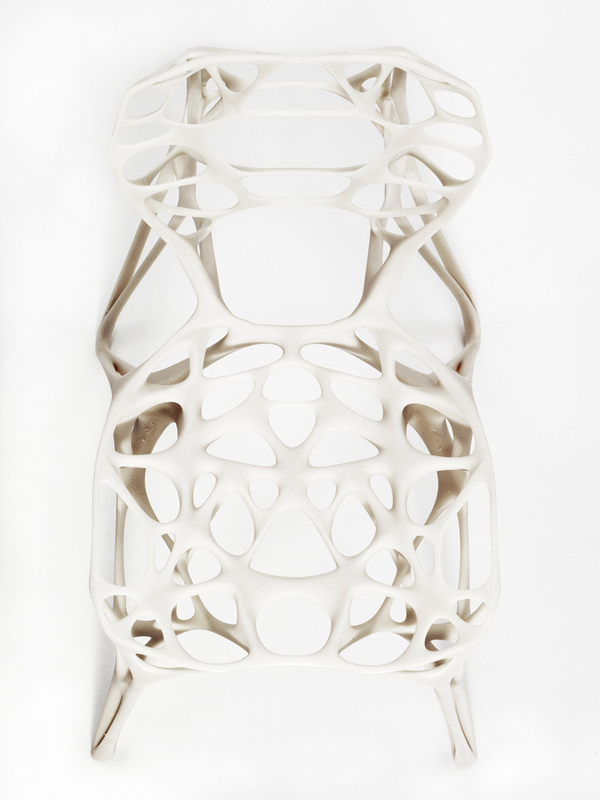 The generative form-finding process takes into account structural performance, material properties and ergonomic demands as well as parameters of production. 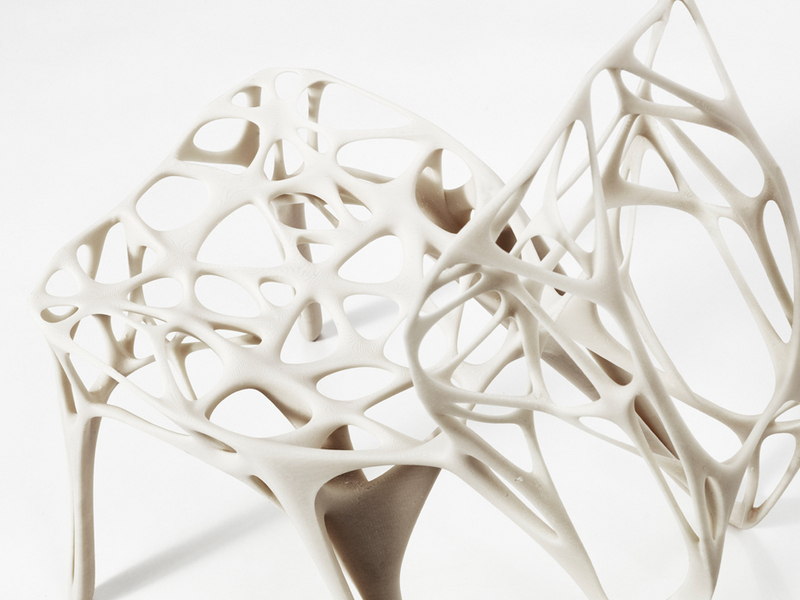 In order to accommodate the idea of a generative design development the concept for the realization is based on generative/additive manufacturing technologies. In a first step the constraints for the form generation were defined in a parametrical 3D-model. Next to ergonomically relevant aspects – like seating height, position and angle of the backrest as well as direction of motion – structural parameters were integrated in the modelling strategy. Therefore the loads and the positions for the supports were defined as boundary constraints for a topological form-finding calculation. 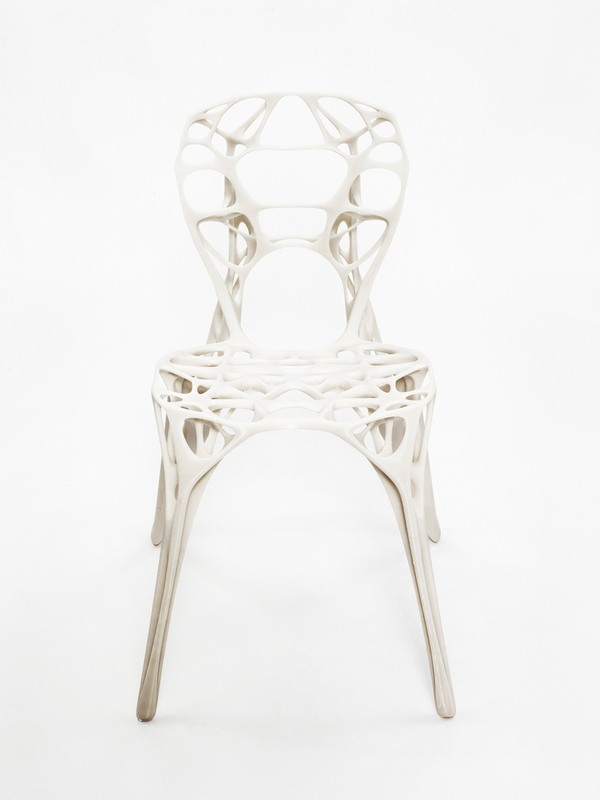 The topology optimization generated an ideal material layout for the given conditions while also reducing local stresses and maintaining structural stiffness for the design. In an iterative process the calculation resulted in a reduction of the necessary material to meet the performance requirements. In a further optimization process the digital 3D-model was reviewed again against the background of usability and human factors, e.g. smoothness of surface, user comfort, contact zones. 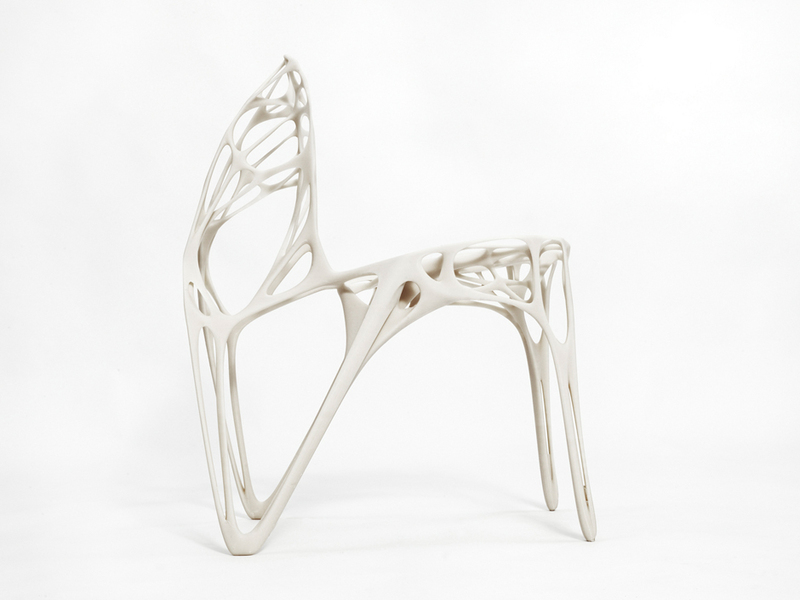 In order to verify and optimize the structural performance of the chair design and the material concept, the model was analysed using FEM-Software, regarding deformation and stresses. In parallel, various scale models and prototypes were 3D-printed with different technologies and material properties throughout the whole design process. In a final design step before production all findings were integrated into a definitive 3D-model.